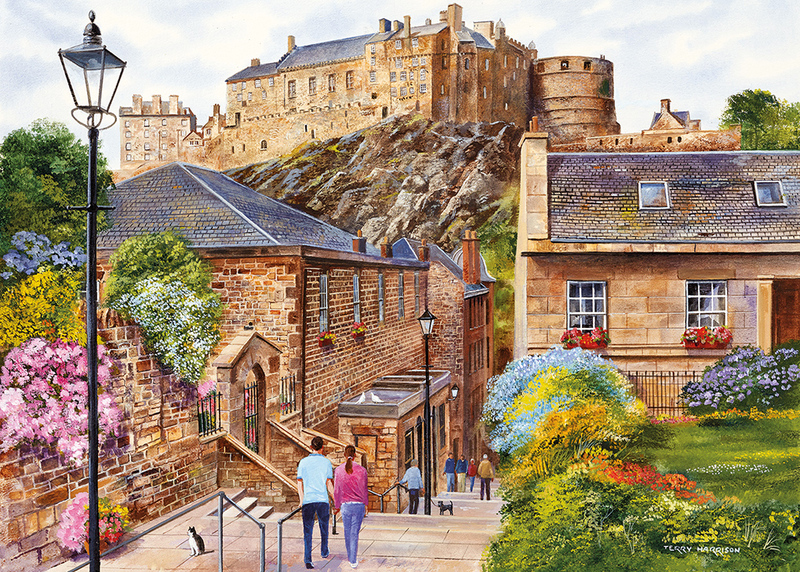 Take a stroll through the Old Town of Edinburgh, from Herlot place to the Grassmarket, down the steps of The Vennel. With historic Edinburgh Castle dominating the skyline, you can almost hear the sound of the one o' clock gun booming. This was the last Gibsons puzzle that Terry painted before he sadly passed away in June 2017. 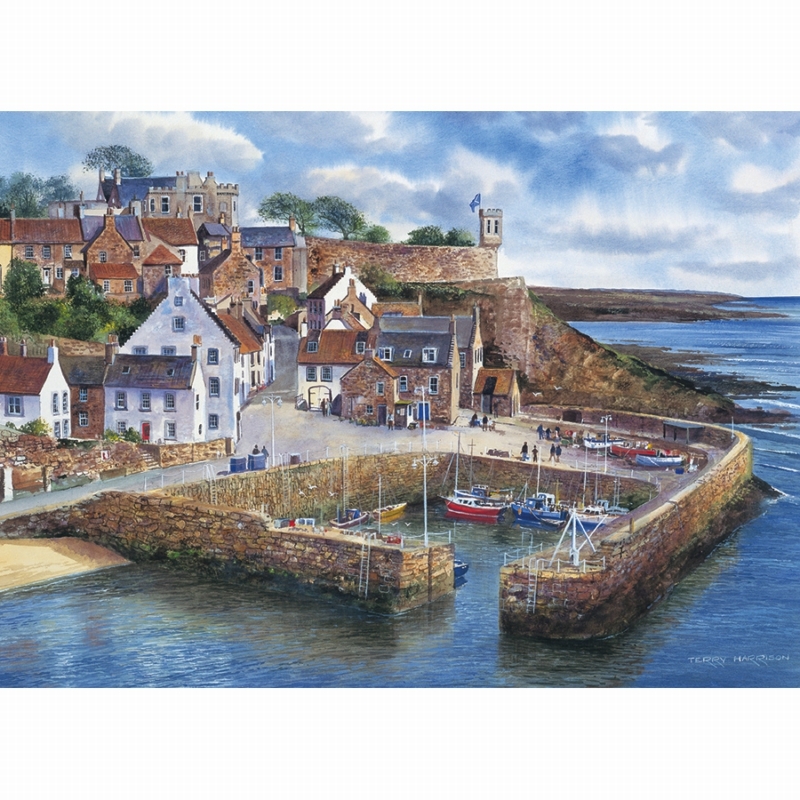 We are honoured to include such a beautiful painting in our range and he will be sorely missed by all who enjoyed his work. The puzzle measures 49x68cm when complete. Terry Harrison was born near Wendover and attended Farnham Art School before becoming a graphic artist in London. Later, he joined the Yellow Pages as an illustrator and then Thompson Directories in their Farnborough head office. During his spare time, Terry pursued his first love; landscape painting. By 1984 the demand for his original work was so great that he decided to paint full time and never looked back! After just 12 short years Terry was awarded the Best Up and Coming Published Artist it of The Year by the Fine Art Trade Guild, and five years later in 2001, Terry had his first book, ‘Brush with Watercolour’ published and sold over 140,000 copies. 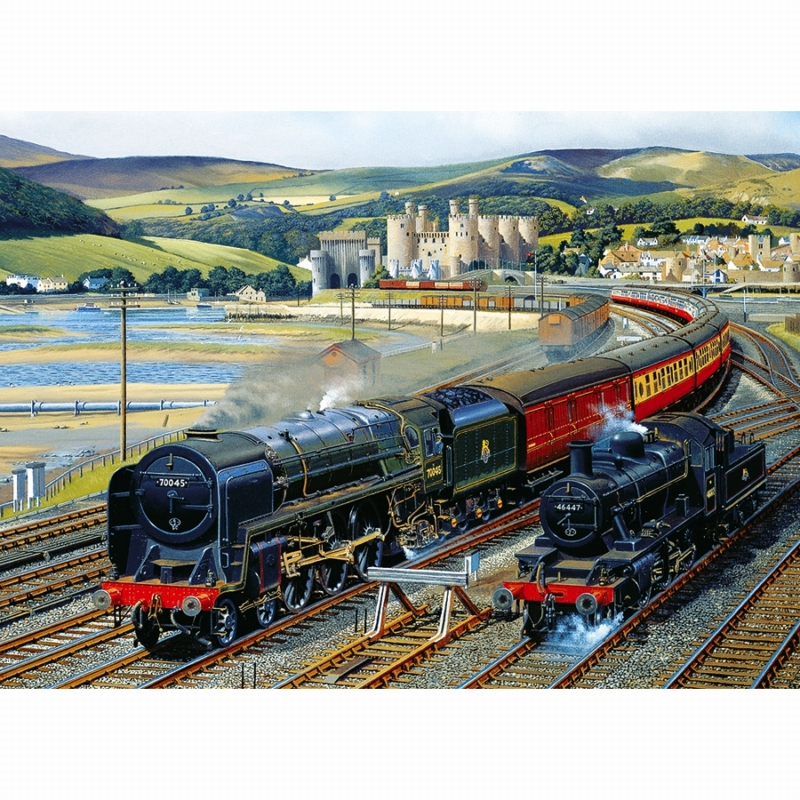 Terry sadly passed away in June 2017 and will be remembered as the kind, thoughtful man who created wonderful pieces of art, many of which have been in our jigsaw puzzle range for almost two decades. He will be greatly remembered and we hope that his artwork continues to bring joy to all who have the privilege of viewing his paintings.